Contact Stagecoach on their head office phone number 01738 442 111 for customer service enquiries, for instance you may use this helpline to make a formal complaint about a satisfactory journey or poor driving from their staff. Similarly if there has been an increase in their fares or a reduction in a local route you may call this number to voice your grievance. Moreover if you require technical support when using their website to purchase an online ticket you may call this helpline for troubleshooting assistance. Alternatively if you would like to contact your local Stagecoach operator directly to book a ticket, to view changes to your local bus timetable or to cancel an unused monthly pass please use the table provided below to identify the correct helpline to call. Customers may contact Stagecoach customer services in writing by posting letters to their various regional offices or by sending correspondence via email. Moreover you can send public messages of complaint to their social media profiles, where you may also view upcoming changes to bus timetables as well as service updates on factors such as traffic. You can contact Stagecoach in writing by sending your letters to the relevant regional office, the addresses of which are provided below. Please note that it may take them up to a week to respond to your enquiry therefore any urgent enquiries, such as lost property queries, should be directed via their telephone helplines instead. 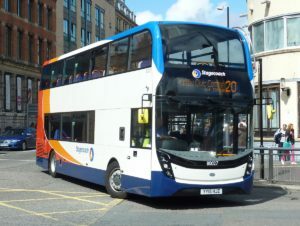 Stagecoach Cumbria and North Lancashire, Second Floor, Broadacre House, 16-20 Lowther Street, Carlisle CA3 8DA, United Kingdom. Stagecoach East, 100 Cowley Road, Cambridge, CB4 0DN, United Kingdom. Stagecoach East Midlands, Warneford House, Runcorn Road, Lincoln, LN6 3QP, United Kingdom. Stagecoach Manchester, Head Office, Hyde Road, Manchester, M12 6JS, United Kingdom. Stagecoach Group Head Office, 10 Dunkeld Road, Perth, PH1 5TW, United Kingdom. 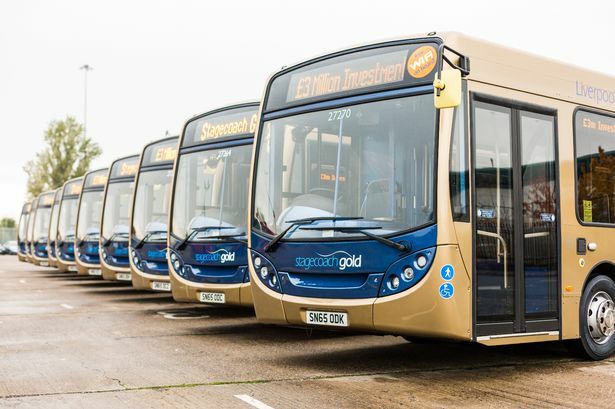 Stagecoach Merseyside & South Lancashire, Head Office, Gillmoss Bus Depot, East Lancashire Road, Liverpool,L11 0BB, United Kingdom. Stagecoach Midlands, Main Road, Far Cotton, Northampton, NN4 8ES, United Kingdom. Stagecoach North East Head Office, Wheatsheaf, Sunderland, SR5 1AQ, United Kingdom. Stagecoach in Oxfordshire, Horspath Road, Cowley, Oxford OX4 2RY, United Kingdom. Stagecoach South,The Bus Station, Southgate, Chichester, West Sussex, PO19 8DG, United Kingdom. Stagecoach South East, Bus Station, St George’s Lane, Canterbury, Kent CT1 2SY, United Kingdom. Stagecoach in South Wales, 1 St. David’s Road, Cwmbran, Torfaen NP44 1PD, United Kingdom. Stagecoach, Matford Park Road, Exeter, EX2 8FD, United Kingdom. Stagecoach West, 3rd Floor, 65 London Rd, Gloucester, GL1 3HF, United Kingdom. Customer Services, Stagecoach West Scotland, Sandgate, Ayr, KA7 1DD, United Kingdom. Stagecoach Yorkshire, Unit 4 Eldon Arcade, Barnsley, S70 2JP, United Kingdom. You can email Stagecoach customer services by visiting their help website where you can also file a claim for lost property, apply for a refund and renew your bus pass.